Can we postpone or prevent arthritis with stem cells? How should I counsel the parents of a 16-year-old daughter when she had an anterior cruciate ligament reconstruction about future osteoarthritis? What do I say about OA to the 45 year-old weekend athlete who, during the course of the follow-up visit after rotator cuff repair, incidentally mentions a sporadic knee ache? What do I tell the 30-year-old laborer who had a fracture affecting a joint or his 50-year-old foreman whose knee hurts all day? While the costs of stem cell intervention are, at this time, not covered by a third-party, there is continuing evidence mounting that not only do stem cells address pain relief, improved range of motion, increased activity status, and postponement or even possible avoidance of a joint replacement, they may diminish or avoid the delayed development of post traumatic osteoarthritis. For too many orthopedic patients, risk counseling and possible prevention of osteoarthritis isn’t adequately addressed. To date, this Blog has focused on stem cell intervention as a means of advancing the care of the aging athlete. Because of my personal interests, I have dedicated a lot of space to maintaining or returning the aging athlete to a favorite pastime, fitness activity or sport. In most primary care settings, due to other pressing health issues and/or lack of physician exposure or training, joint pain intervention is often minimized or not asked about. Osteoarthritis is a chronic disease with risk factors across the lifespan. In part, the purpose of this blog is and has been to advance knowledge and awareness of arthritis and what might be done to delay or avoid a joint replacement. Equally important though is to identify the opportunity to improve prevention and care. I am proposing that a patient at risk of for developing degenerative arthritis from an accident or one who is in the earlier stages of OA consider a stem cell intervention before a serious change in quality of life develops. It may mean a compromise in how your out-of-pocket health care dollar is allocated. Joint pain need not be inevitable and the frequently brushed aside joint pain complaints may be an indication that it is time to invest in your future. As an orthopedic surgeon, I was trained and practiced providing a surgical treatment of end stage arthritis. 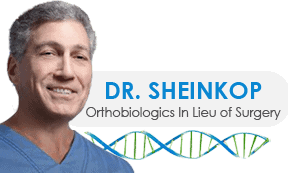 I view Cellular Orthopedics as value –based care with ever increasing scientific evidence in postponing or avoiding a joint replacement. The Sunday, November 17th edition of the Chicago Tribune addressed the increasing out-of-pocket cost of your health care in spite of your indemnification; that is to say an increasing out-of-pocket expense without regard to your deductible. There are several considerations as to how to finance cellular orthopedics to allow an intervention prior to end stage arthritis. My Blog archives contain information as to Medical Savings Accounts and Flexible Savings Accounts. To me it is a personal decision as whether to invest now in the care of or even prevention of an arthritic joint or pay later physically and economically with a joint replacement.